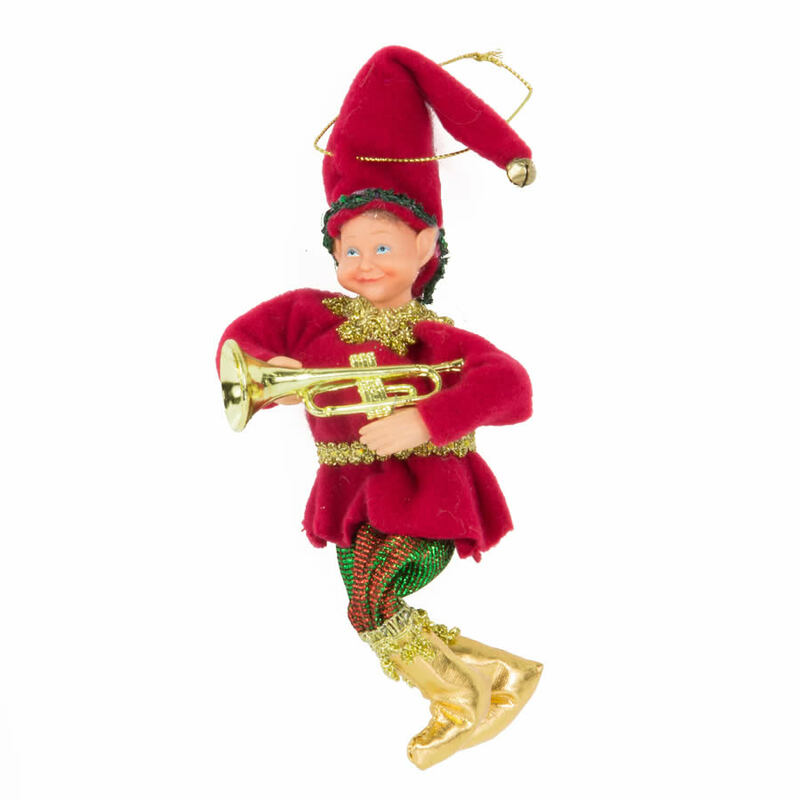 There is a bohemian flavour to this dapper little Music Elf Climbing ornament. This mischievous little chap seems smug, and proud of himself, as he hangs from your tree, wreath, or window. 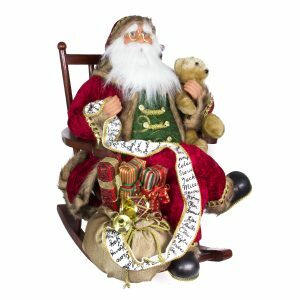 Perch him on a shelf for a tradition that family members associate with the holiday season. 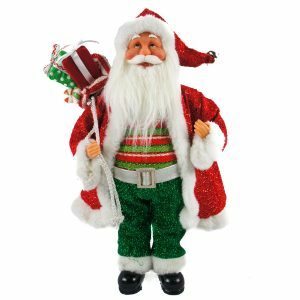 Hide him around the home, as he spies on the occupants so that he can report back to old Saint Nick, himself. 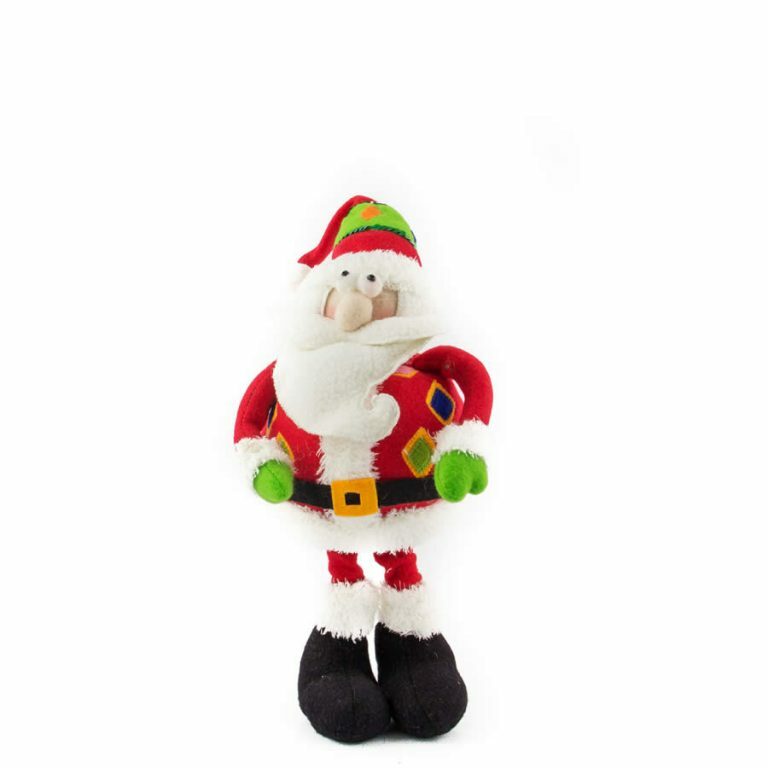 This friendly fellow measures approximately 8cm wide by 11cm tall, and he is affixed with a gold cord suitable for hanging at the top of his red felt cap. Dressed to kill, this little elf waits to play you a tune with his golden horn. Details such as his golden boots and pointed ears give him distinction and personality. He has a naughty little grin, and is sure to be a holiday accent that you use for many years to come.